The OBE Outlook On Life: Are OBEs Against Christianity? I try to respect everyone's feelings and beliefs regarding religion. It is a volatile subject and most people feel threatened when you try to pull them out of their comfort zone. People get upset, discussions get heated, and feelings get hurt. I will never tell another person that their religion is wrong or misguided: we all follow different paths to God, and I respect that. Still, every once in a while, some religious fanatic (always a Christian) posts on one of the facebook groups having to do with out-of-body experiences, trying to convince everyone that OBEs are evil, demonic, or a trick of Satan. Then they urge you to repent and accept Jesus as your savior, as if OBEs are something wrong. As an OBE author and teacher, I feel obliged to address this concern and share my feelings about the matter. There is nothing satanic, evil, sinful or shameful about out-of-body experiences, in Christianity or any other religion, for that matter. To assert that it's somehow wicked is a sign of a closed and ignorant mind: you do not even know your own holy book. "I know a Christian man who fourteen years ago (whether in the body or out of it, I do not know--God knows) was caught up as far as the third heaven. And I know that this same man (whether in the body or out of it, I do not know--God knows) was caught up into paradise, and heard words so secret that human lips may not repeat them." (2 Corinthians 12:2). This--in St. Paul's own words--affirms that it's okay for Christians to use out-of-body experiences to gain direct knowledge of the kingdom of God. Many people believe that Paul was writing about his own personal experiences, but attributed them to someone else due to his modesty. Some say that fourteen years prior would have been close to the time when Paul himself was stricken with his epiphany on the road to Damascus. In the years after Jesus's death, various Christian groups started popping up, spreading their own stories of Jesus and his teachings, even though Christianity was illegal at the time. Eventually Roman Emperor Constantine was converted and legalized Christianity. 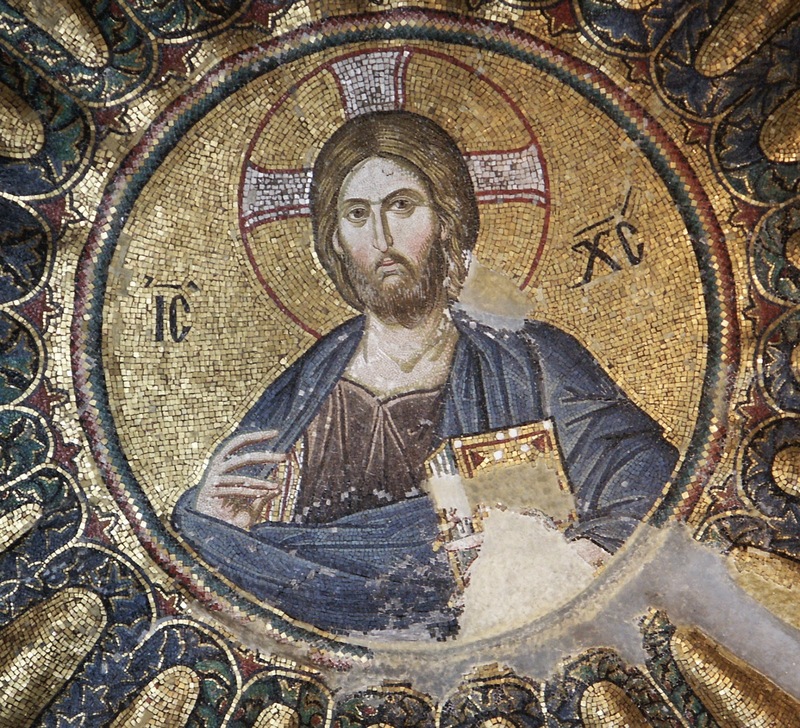 In the year 325 AD, Constantine decided to put an end to all the unofficial rumors and stories about Jesus. He held the first Council of Nicaea to decide, once and for all, the official doctrine of the Christian Church. And that's when they decided to cut books out of the Bible. The Book of Enoch was one of them. So there you go: three cases of the Bible condoning OBEs: (1) Paul's words in 2 Corinthians 12:2, (2) Elisha's OBE spying on Aram in 2 Kings 6:8-14, and (3) Enoch, the man who walked with God (Genesis 5:21, even if you throw out the whole Book of Enoch. So now the question becomes: What evidence is there to suggest that OBEs are against Christian doctrine? None. Zilch. Zero. Nada. That's right. I challenge any Christian or scholar to find a passage in the Bible that says OBEs are in any way against Christian doctrine. I've studied the Bible (as well as many other religious texts) extensively, and I've never found anything that says OBEs are evil, sinful or against the teachings of Jesus, his disciples, or St. Paul. So where do these crazy ideas come from? They made it up. Why did they make it up? To control you. After all, if common people were able to induce their own religious and out-of-body experiences, they just might start getting their own answers and stop going to church. They might usurp the authority of the Church. The church might lose their monopoly on God. They might lose their place as the intermediary between you and God. In short, they'd be out of business. So the Church needed a way to control the people, to keep them from having their own religious experiences, and the instrument of that control is fear. Fear of damnation. Fear of evil. Fear of excommunication. However, I believe God is love-based, not fear based. The bottom line is: If you're a Christian, with OBEs, you don't need to merely pray to, or worship Jesus Christ, you can actually meet the man face to face. Is there precedence for that? Absolutely. Some people, myself included, have gone out-of-body and stood in the presence of Jesus Christ. So now you're probably asking yourself: What am I trying to sell? Nothing. What religion am I? None. I do not subscribe to any religion, I do not go to any church, temple or synagogue, and I do not belong to any religious organization. Do I still love and worship God? Absolutely. Like Christ Himself taught, I believe God is all around us, and I believe "religion" should be someone's personal relationship with God. When you start bringing in organizations like the various Church organizations, you bring in all the baggage and political nonsense: stuff that only gets between you and God. So please: Follow your religion as you see fit. Believe what you want to believe. Walk your own path to God and to Eternity. But do your homework. Stop believing the lies others tell you, and pursue your own relationship with God, rather than spreading the nonsense. And don't tell me OBE is evil or against the Bible unless you have specific biblical passages to back it up. I agree with you Bob! thanks for sharing this as I can see a lot of people still pulled back by old dogma and beliefs. Bob, Ian Clayton, Justin Abraham, Dr O, teaches these things.